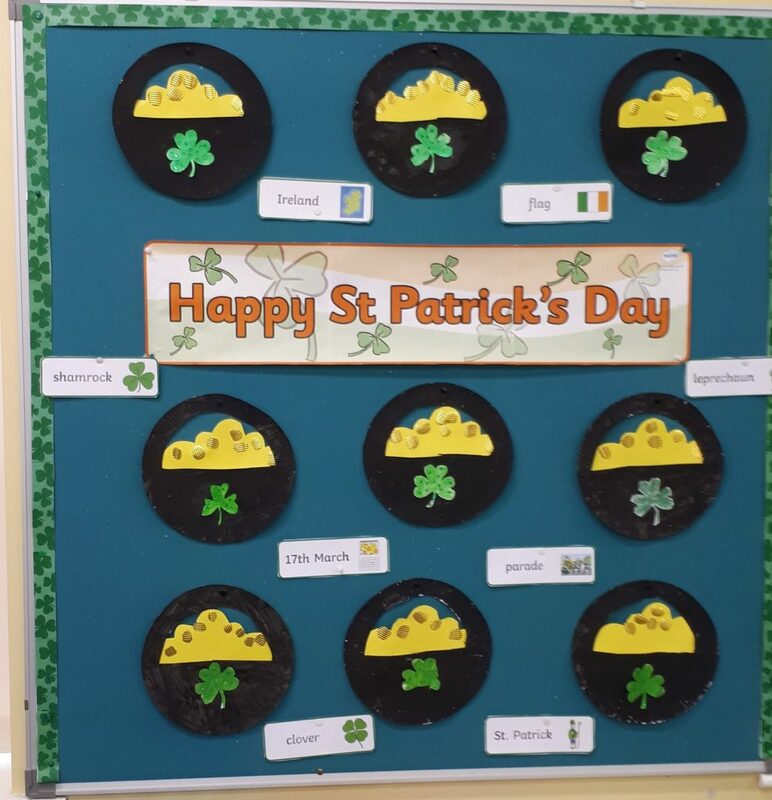 Spring has sprung in the Junior Room! 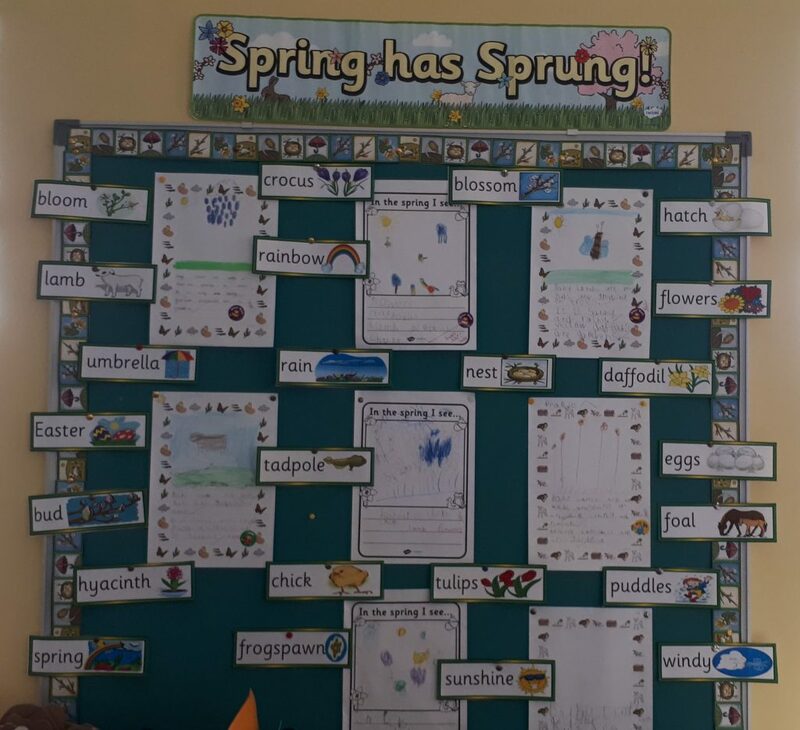 Junior & Senior Infants learned lots about the season of Spring this month. 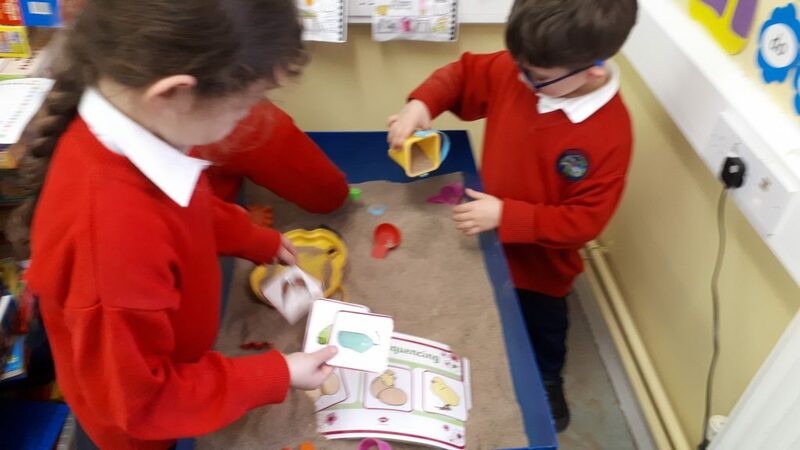 In play we discovered all about Spring weather, baby animals which are born and plants and flowers that grow. 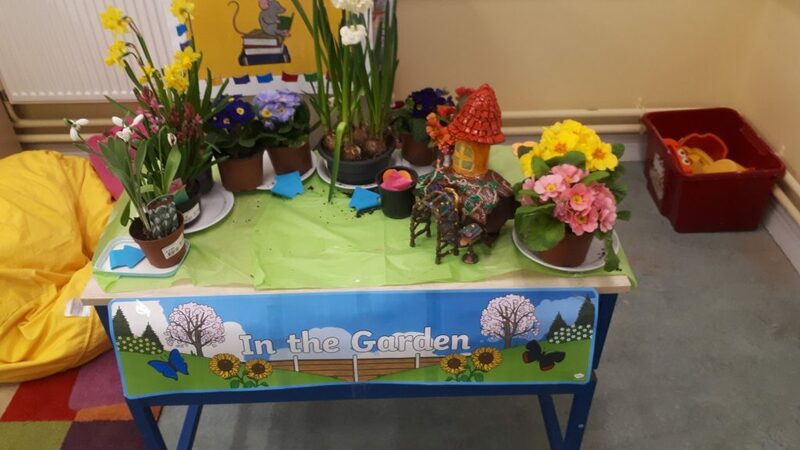 We also created our own Spring Garden in our classroom with daffodils, snowdrops, primroses and hyacinths. 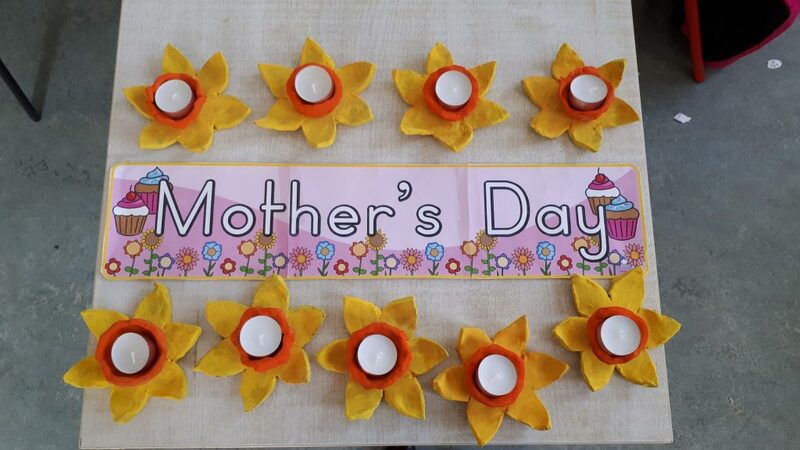 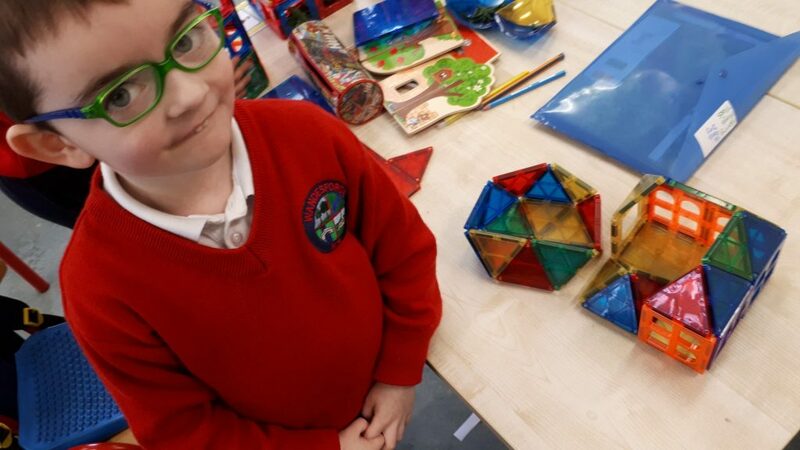 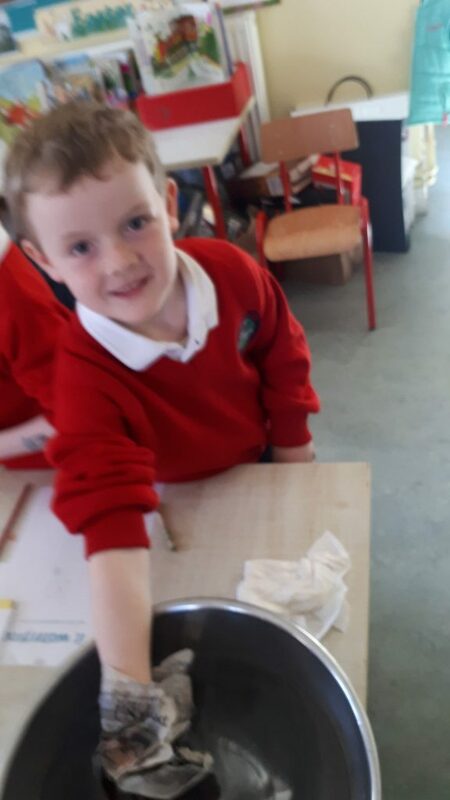 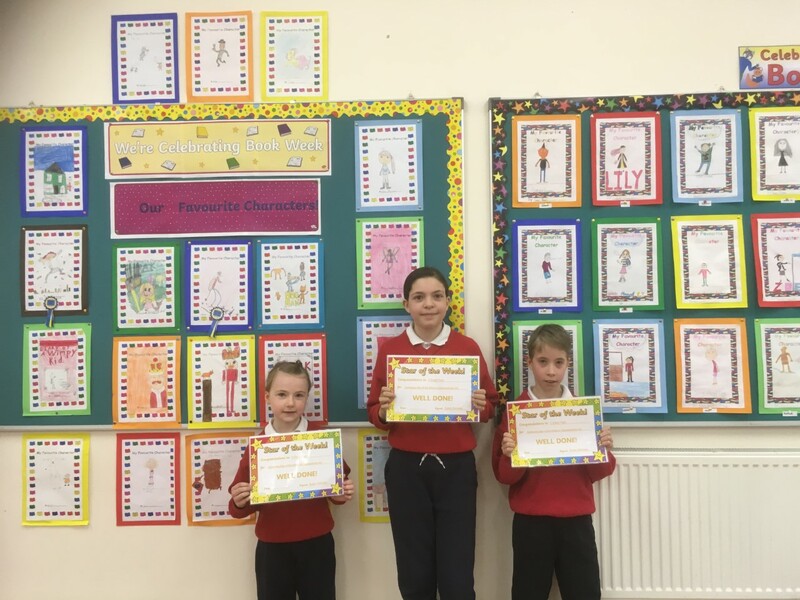 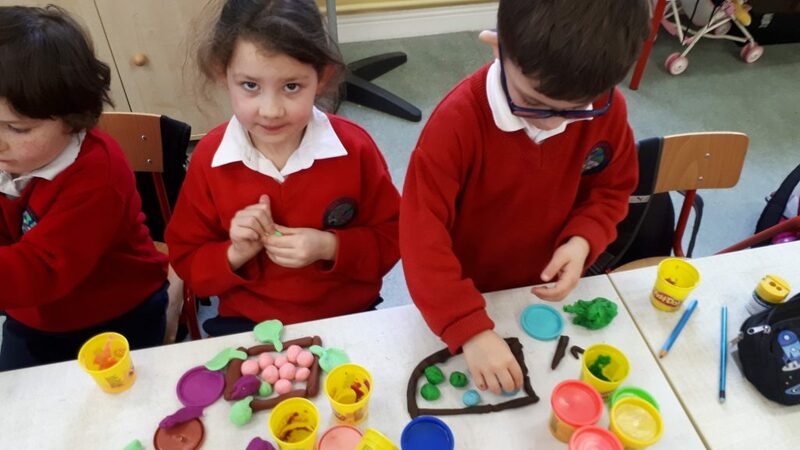 In Art we made St Patrick’s Day crocks of gold and used clay to make daffodil candle holders for Mother’s Day. 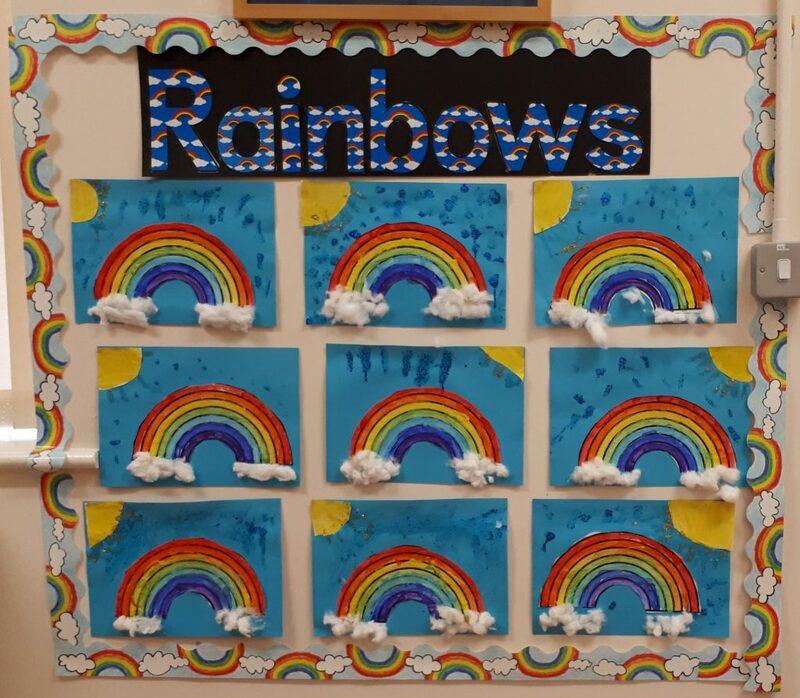 Continuing with our Spring theme we made colourful rainbows which we often see at this time of year from the sunshine and showers. 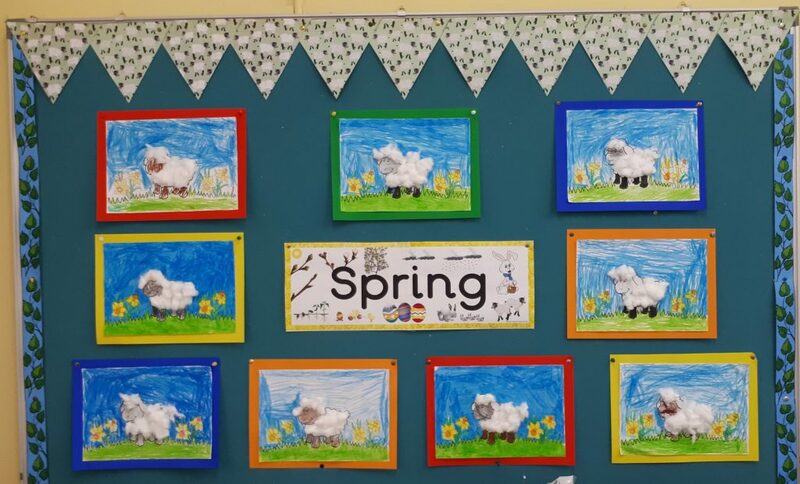 We also created fluffy baby lambs, born at the moment as well. 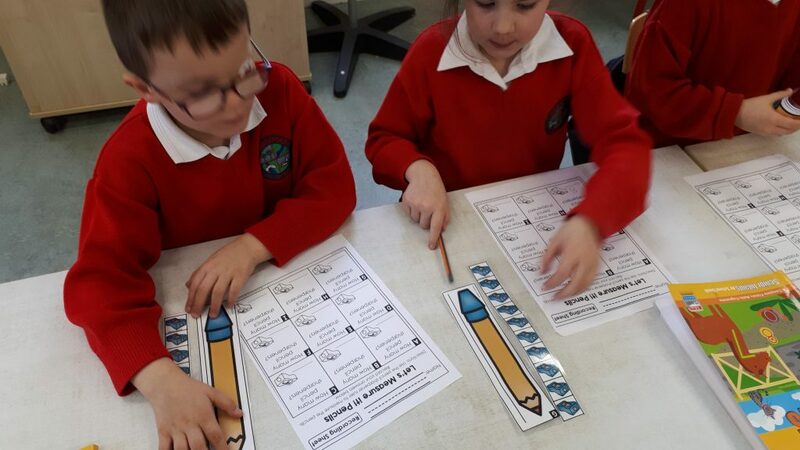 We wrote sentences about Spring and drew pictures to illustrate them in English. 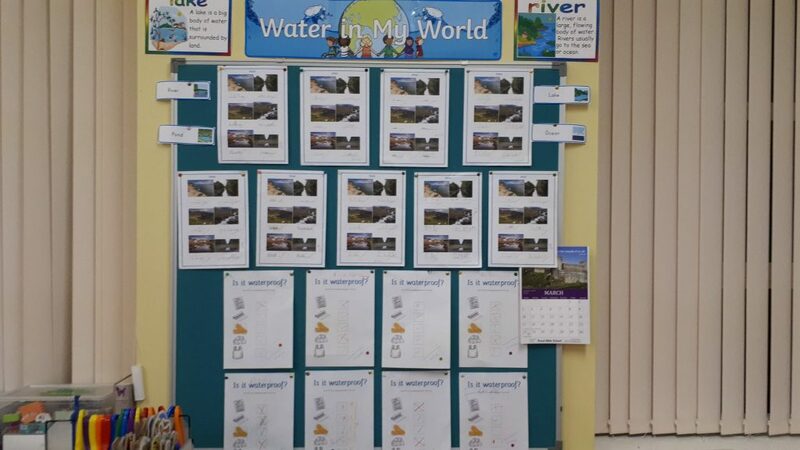 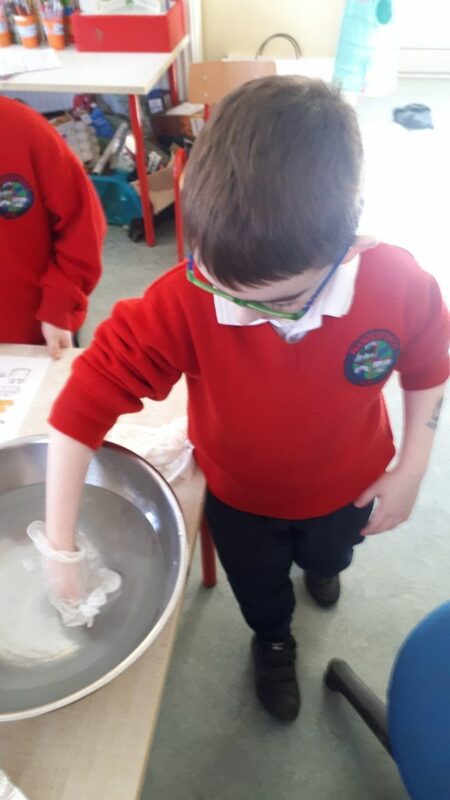 We learned all about water in our world in SESE, looking at places we find water like the sea, rivers, canals, lakes etc. 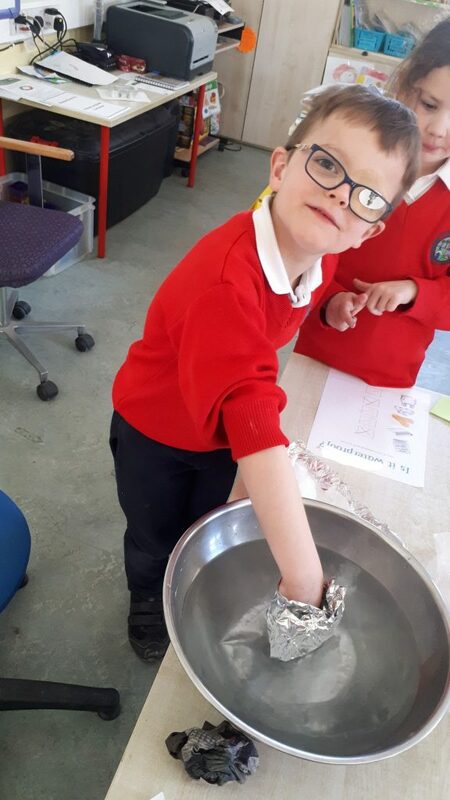 We also experimented to see if materials were waterproof and recorded our results. 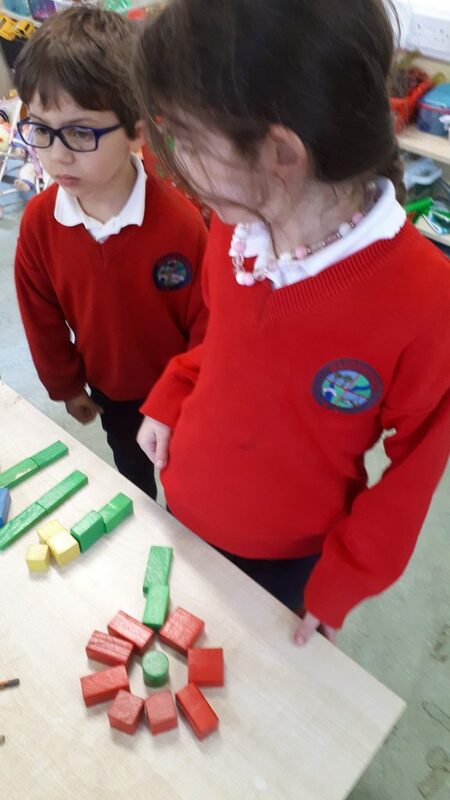 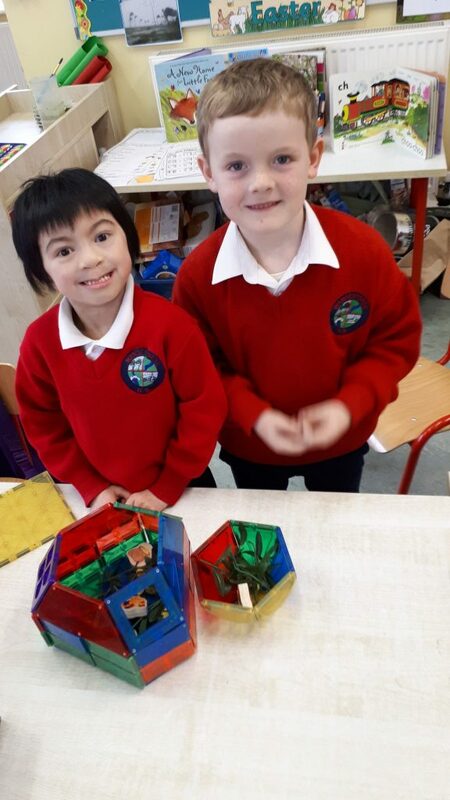 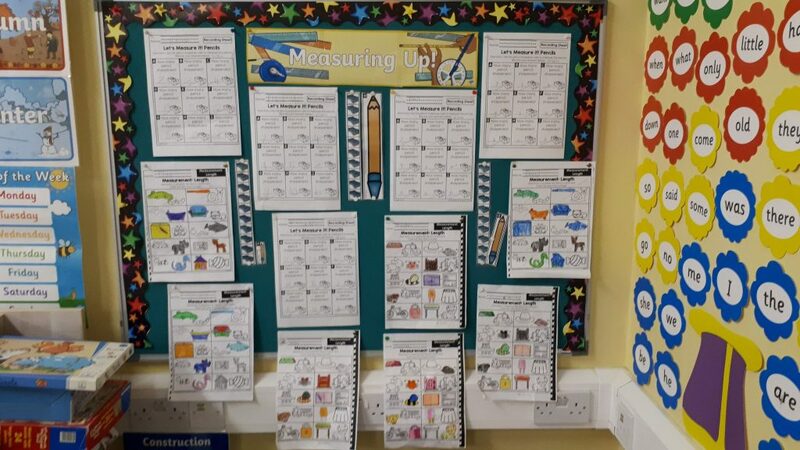 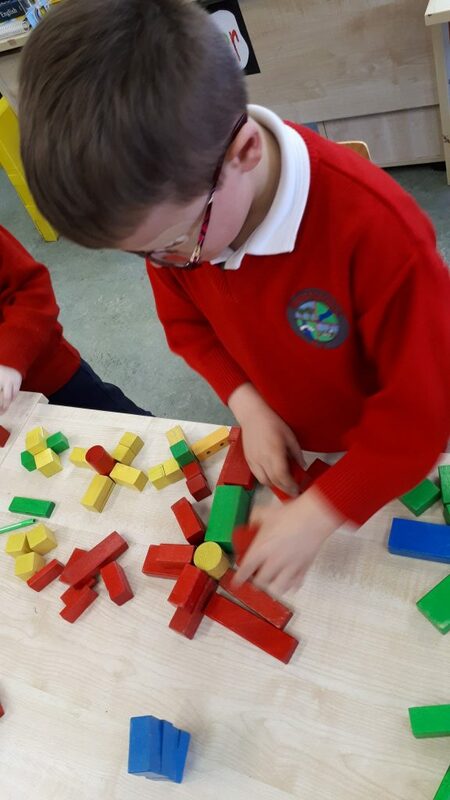 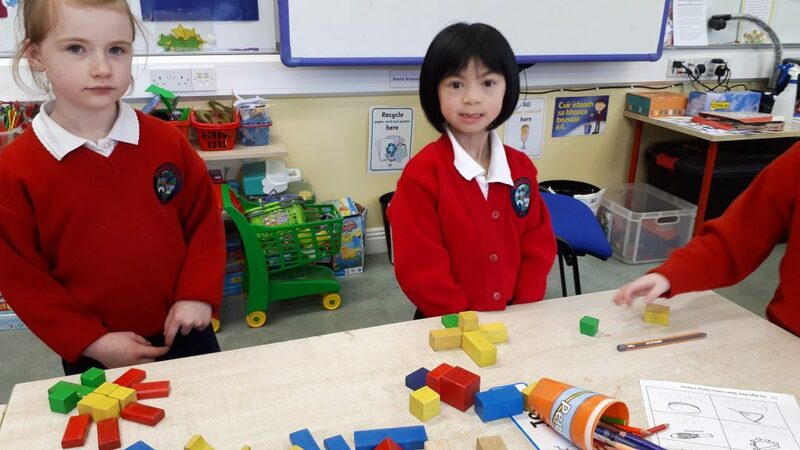 Senior Infants learned all about measuring length this month and we measured pencils but used sharpeners instead of a ruler! 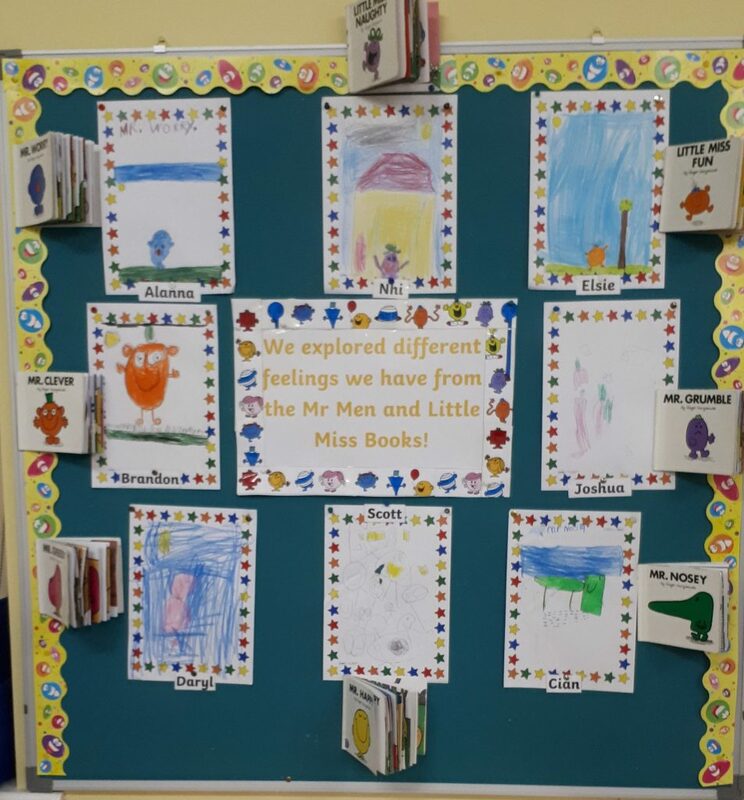 In SPHE we discussed and explored feelings we have through reading various Mr Men and Little Miss books. 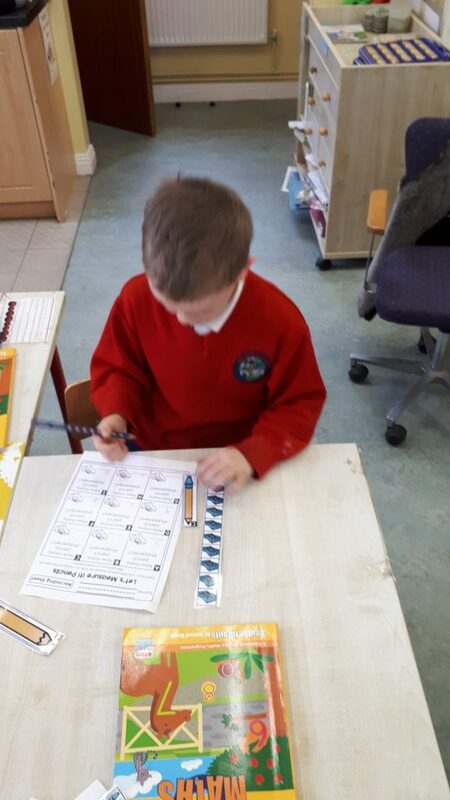 We drew some of the feelings we’d discussed. 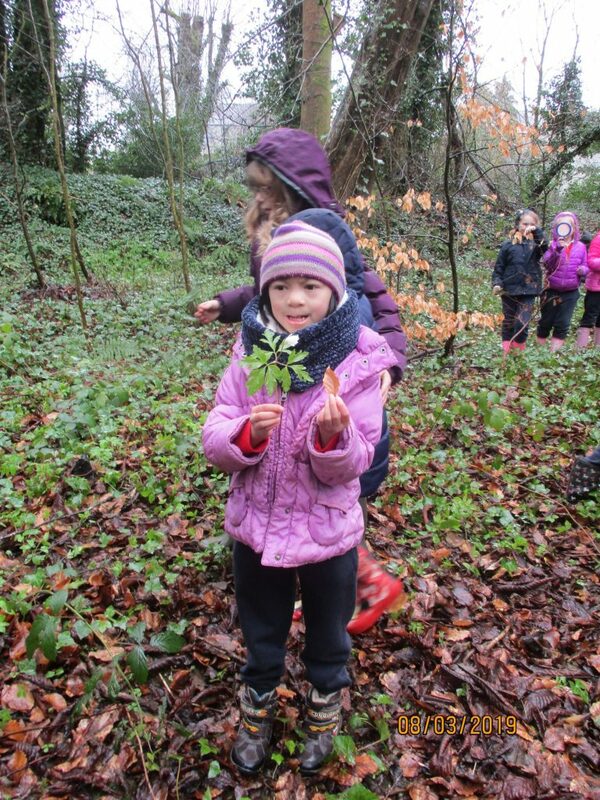 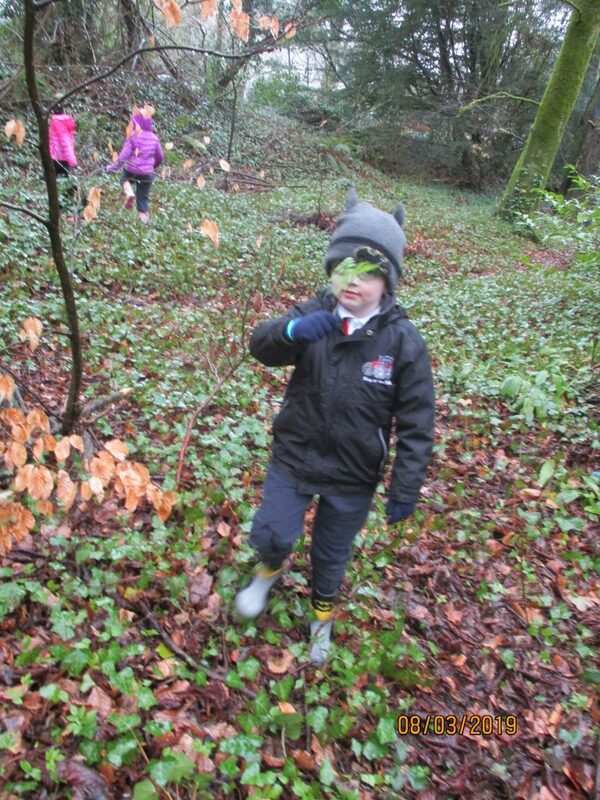 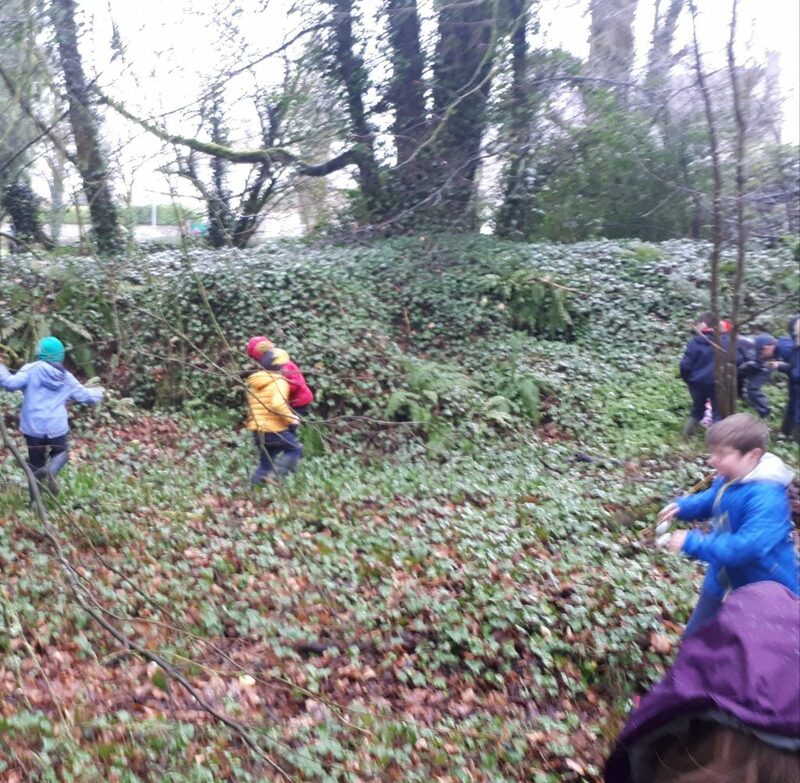 We enjoyed two nature walks this month, first of all we went to the river and explored around the river bank and woods with Eileen Canny, although it was raining we had fun!! 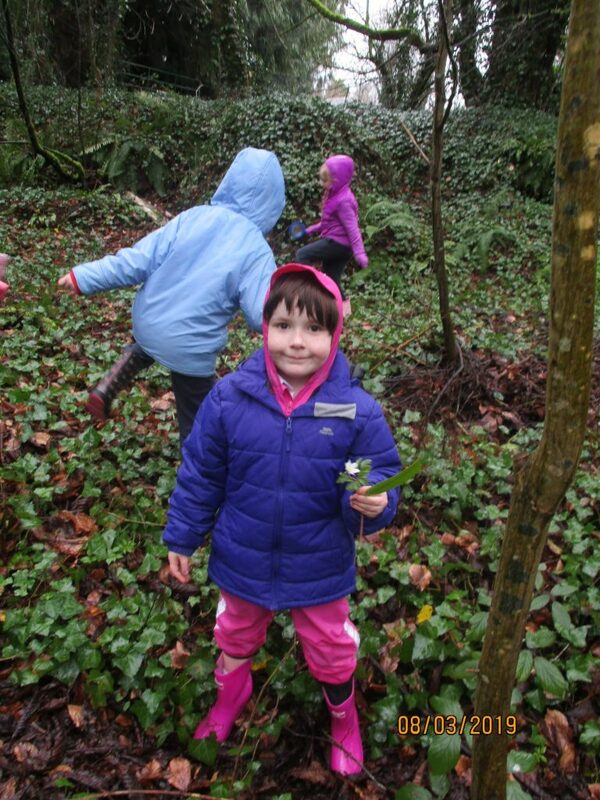 At the end of the month we went to the Discovery Park and tried to spot as many signs of Spring as we could. 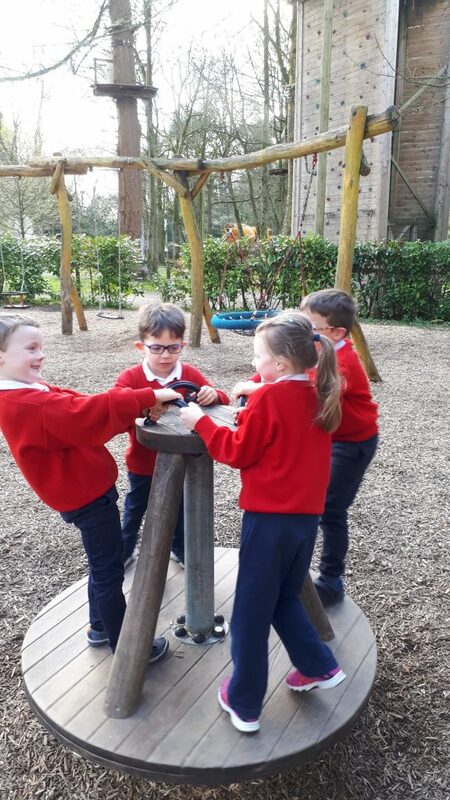 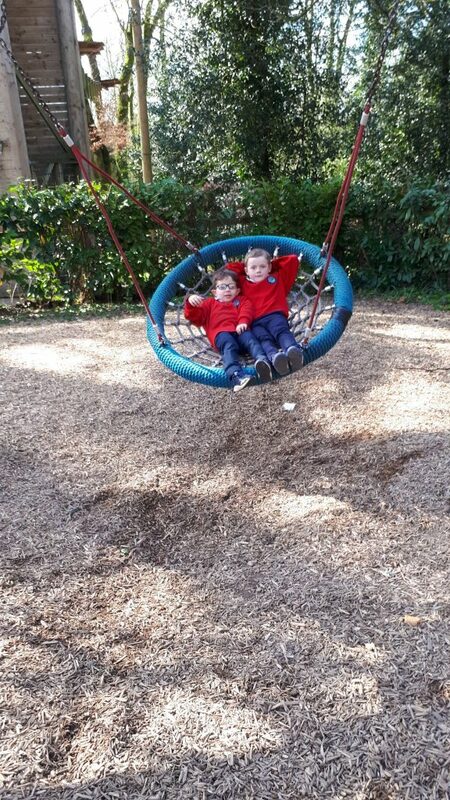 Thankfully the sun shone and we had time to visit the playground at the end! 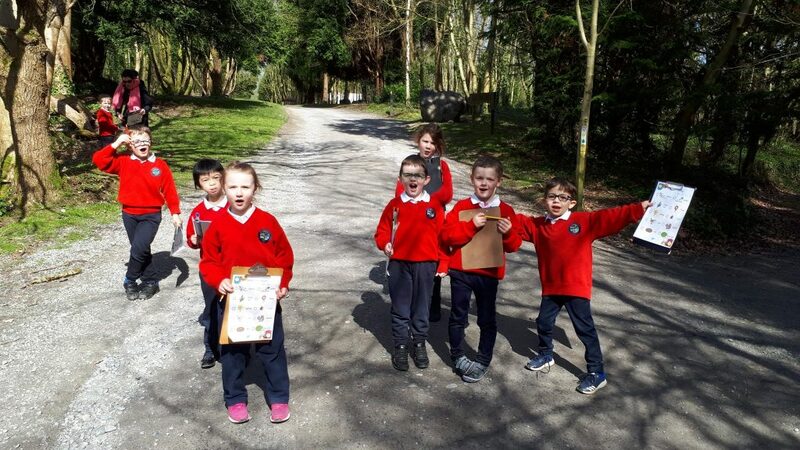 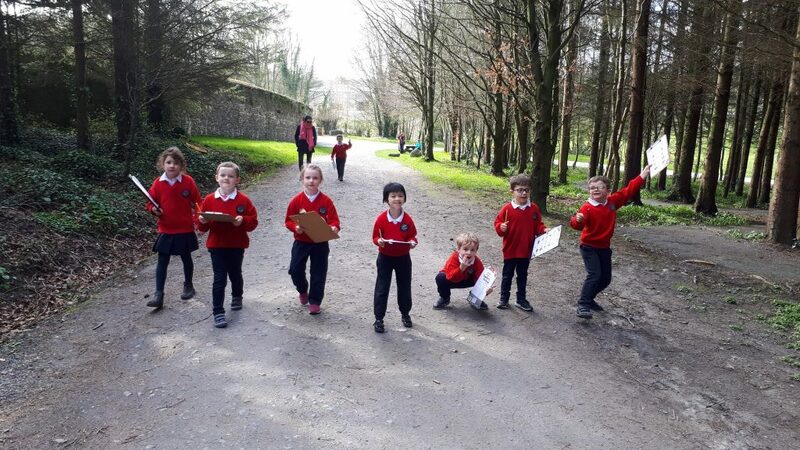 Ready with our clipboards to spot signs of Spring!